Published on April 23, 2013 in cottage holidays UK, Lake District, Self catering holidays and Uncategorized. Closed Tags: Amersham, Buckinghamshire, Cumbria, Kendal, Kent, Lincolnshire, Stamford, Sunday Times best places to live in Britain, Thornbury, Wye. Everyone has a favourite holiday location, whether it is somewhere which evokes pleasant childhood memories, a place you met your future partner or just an idyllic destination you adore going back to. If each of us was asked to name the top five places to live in Britain there would be hundreds, maybe thousands, of different cities, towns and villages listed. How do you rank the picturesque Lake District or Scottish Highlands ahead of the sleepy tranquility of the Norfolk Broads and the rolling countryside of the Yorkshire Dales? Well, the Sunday Times has had a go at it and come up with a definitive study entitled ‘The Best Places to live in Britain’ and they have ranked locations in order of desirability. Among the factors they considered were transport links, proximity to Areas of Outstanding Natural Beauty, community spirit and local services, such as shops and pubs. Not everyone will agree with the final list but if you take a holiday in the vicinity of one of the top locations it is sure to be a memorable experience. Anyone who has ever been to this glorious Georgian town, where period dramas such as Middlemarch and Pride & Prejudice were filmed, will not argue with it coming out on top of the pile. The history and beauty helped its selection as Britain’s first conservation area. 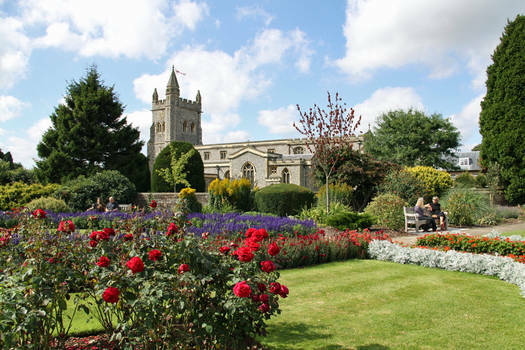 A visit to Burghley House is a must for all visitors taking a holiday break in the Stamford area. You don’t have to stay in the town because there are a range of holiday lets available close by. It is well worth renting self-catering accommodation in Rutland, with cottages, log cabins and lodges for hire in England’s smallest county. You will be close to stunning Rutland Water, where you can sail and cycle. If you’ve been to the Lakes it is a fair bet you have dropped in on lovely Kendal, with its attractive tea rooms, restaurants and delicious local produce. There are a range of shops in the town and a plethora of cottages and other holiday lets available. Once again you don’t have to stay in Kendal because of the range of self-catering country cottages in Cumbria offered for rent. You will be right in the heart of the Lake District, where you are never far from a scenic lake, a quaint tea shop, a gastro pub or just somewhere to stretch your legs and take in the scenery. The county of Kent has not been labelled the ‘garden of England’ for nothing, with miles of rolling countryside, gardens and country parks. Wye is in the North Downs and has a network of glorious walking and cycling routes, with the cathedral city of Canterbury just a 20-minute drive away. It’s well worth a visit to Wye wherever you book your self-catering accommodation in Kent. Any destination in the Cotswold is wonderful but there are parts of Gloucestershire which simply cannot be bettered, if you want scenic beauty and the highest possible quality of life. You will be spoiled for choice with the available self-catering country cottages in Gloucestershire. Historic Thornbury has stood from before the Domesday Book and boasts a castle, a 12th century church and lovely old houses throughout. It has one of the country’s top restaurants, a regular farmer’s market and can be a base for your holiday or somewhere you have to visit. Beautiful Bucks can be an expensive area to buy a home so you may be better off renting a holiday home in the area and staying for a week or two. Amersham has been dubbed the gateway to the Chiltern Hills and it is a lovely old town with a picturesque market square and high street sporting rows of houses and shop properties dating back to the 16th and 17th centuries. If you are looking for self-catering country cottages near Buckinghamshire, then take a look at the options in neighbouring Oxfordshire, Hertfordshire and Bedfordshire.